USI-Tech is a fully automated trading software developer that promises returns of 1% per day on average, when trading forex and bitcoin. Here’s my review. USI-Tech is an automated trading platform that offers forex and bitcoin trading. Using USI-Tech’s proprietary software, you can grow your income and take advantage of the world of bitcoin. 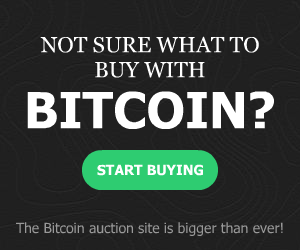 USI-Tech specifically promises that users can grow their bitcoins by 1% a day on average. Today, USI-Tech is making headlines throughout the bitcoin community for its new bitcoin trading platform. The company first launched in October 2016. Initially, the company’s platform offered forex trading for those who wanted to earn a passive income. Since March, however, the company has advertised itself to those interested in the world of cryptocurrencies. But USI-Tech is far from your ordinary automatic currency trading platform. The company also operates as a multilevel marketing company. Users can be rewarded with bonuses up to 12 levels for recruiting new customers. This process, combined with the “guaranteed” returns, has led many people to call USI Tech a Ponzi scheme, a pyramid scheme, or a scam. There’s a good rule to follow in the world of investing: if a company promises to give you a specific, guaranteed return on your investment, then it’s probably a scam, a pyramid scheme, or a Ponzi scheme. Soon after USI-Tech launched in October 2016, many users across the internet were calling it a scam. After all, very few investments guarantee a return of 1% per day on average (over 365% a year). Typically, investment opportunities don’t make specific promises about their returns. In fact, it’s illegal to mislead investors. So is USI-Tech really a scam – or is this a legitimate investment opportunity? Ultimately, USI-Tech appears to be similar to most other currency investment platforms I’ve seen in recent months: these companies promise to make users guaranteed returns through bitcoins and other cryptocurrencies. USI-Tech claims they developed their software over 8 years and 100 different software updates. The software is a fully-automated program that makes intelligent investment decisions. USI-Tech gives information about the software upfront nor do they make any financial claims about its capabilities. “Our top-class development team has created software systems for reputable investors worldwide”. Which investors are these? Who is part of the development team? What are the names of these developers? What is their specific experience or background? The company is based in Dubai but appears to have Portuguese connections. How Do You Make Money With USI Tech? You can Register for Free 1st up. Then earn 10% from your referrals deposits on your 1st level. 3% on the 2nd level. Then if you upgrade , USI-Tech spreads up to a 35% commission across 10 levels = 12 levels all up. USI-Tech funnels new membership fees to the top. The more people you recruit beneath you, the more money you make. The other way in which you make money with USI-Tech is by encouraging people below you to make trades through the USI Tech software. Despite the fact that the software is automated, USI Tech will charge a brokerage fee. A chunk of that brokerage fee is sent to you, and the remaining percentage is spread throughout the network. USI-Tech’s advertises its membership as a “business opportunity”. Like most network marketing companies, you need to pay a fee to join the company. That hefty fee is listed as a “software license” and is priced at €600. After joining USI-Tech, you’ll be able to earn commissions of €120 per affiliate. The company offers a 3 x 12 matric compensation plan structure with a total of 797,160 positions overall. Positions in that matrix can be filled directly or indirectly. If you use the USI-Tech software, you’ll be charged a brokerage fee. 25% of the brokerage fee is paid to the recruiting affiliate. The remaining 75% of the fee is split into 12 payments and spread throughout the 3×12 matrix. If you use the BTC Package product , you will deposit increments of €50. Which is very convenient ammount considering the price of bitcoin these days, exceeding USD$3,500 to $5000+ in recent times. You can potientally deposit upi to 10,000 BTC packs maximum. October/November 2017, The Company will be bringing out another trading product for members, so we will wait for this release and review it accordingly. You can contact the company by phone at +971 50 75 95 046. One recent article on pyramid schemes in Dubai described how “scams have been widespread for years in Dubai”. Despite the Dubai headquarters, USI Tech appears to have connected to Portugal. The domain was registered on June 23, 2016 to a man named Joao Severino. The original registration listed an address in Portugal. Should You Sign Up For USI Tech? USI Tech is a network marketing company that appears to be trying to take advantage of the flurry of bitcoin activity in recent months. USI Tech understands there are a lot of newbies interested in the world of bitcoin, but they have little understanding of how to participate so there are regular webinars and education resources within their networks to satisfy this need. USI Tech promises of a guaranteed 1% a day investment opportunity. The company claims to have developed a secret software program that can grow bitcoins by 1% a day on average. They claim this automated software program makes intelligent trades that consistently generate returns of 1% a day (over 365% per year). Certainly my feedback and everyone involved has NOT been disappointed. Based on the ammount of transparency now, the honest generalised earnings information, and the information about the proprietary software, USI Tech appears to be a well organised company backed mostly by a long established history of professional traders & depositors & fuelled now by 5,000+ new memberships per day by selling a legitimate suite of products & services. *It’s now very easy to recommend USI Tech as a legitimate investment opportunity based on the information given online.